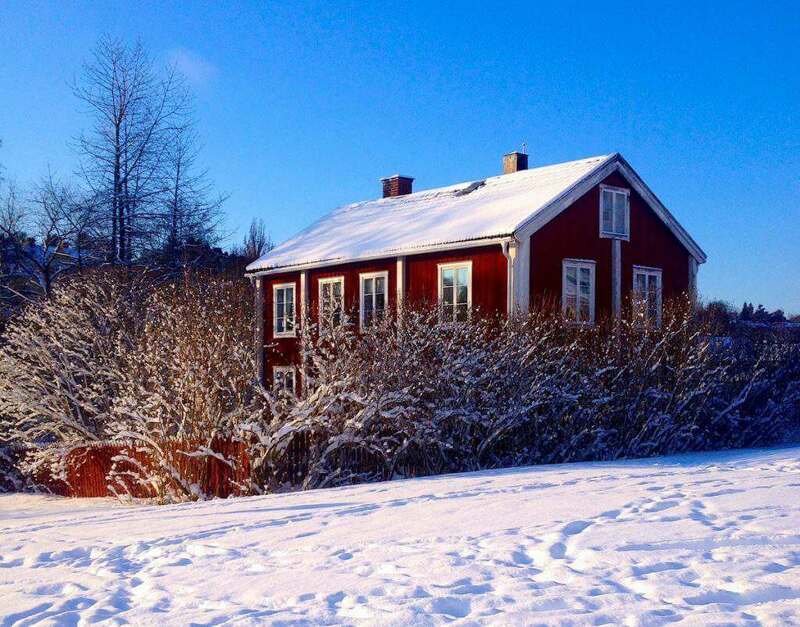 This week I am happy to have Samantha Angell sharing how they celebrate Christmas in Sweden. I’ve been following Samantha for a little over a year, starting when she was an expat in Sweden and continuing to enjoy her adventures as she has returned home. We visited Stockholm last year, and the city is fabulous, I can imagine the rest of the country is just as beautiful. 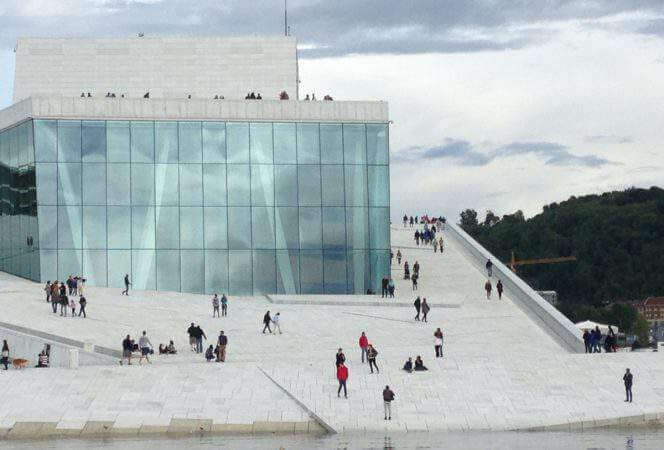 Find out what Samantha has to say about Christmas in this Scandinavian country! With just over three weeks until Christmas, the holiday season is in full swing! Today, we are going to take a look at how Christmas is celebrated in the Scandinavian country of Sweden. Christmas in Sweden is celebrated throughout several weeks. Christmas in Sweden is translated as Jul, and Sweden’s holiday greeting is “God Jul”. I moved to Sweden in August 2013, and was able to experience the Christmas season both in 2013 and in 2014. 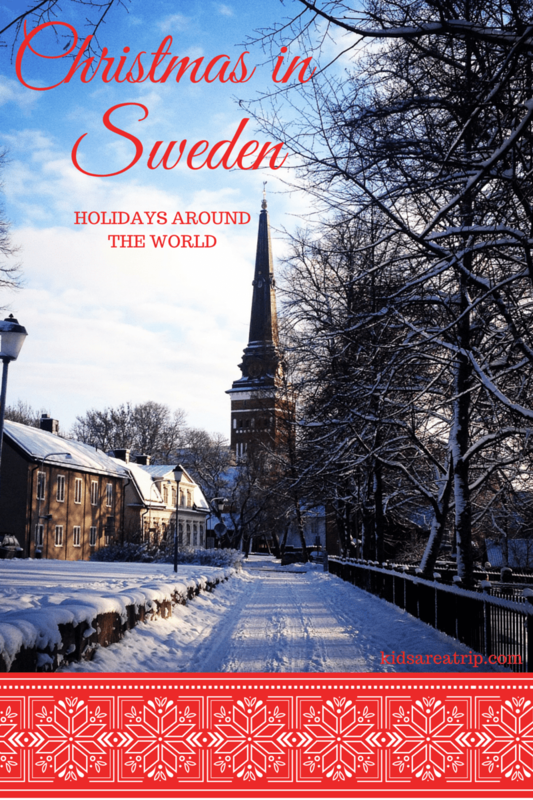 With Christmas quickly approaching again, and living back in the U.S., I jumped at the chance to speak a little bit about Christmas in Sweden and the Swedish Christmas traditions! One of the most popular Christmas celebrations in Sweden actually occurs several weeks before Christmas on December 13. 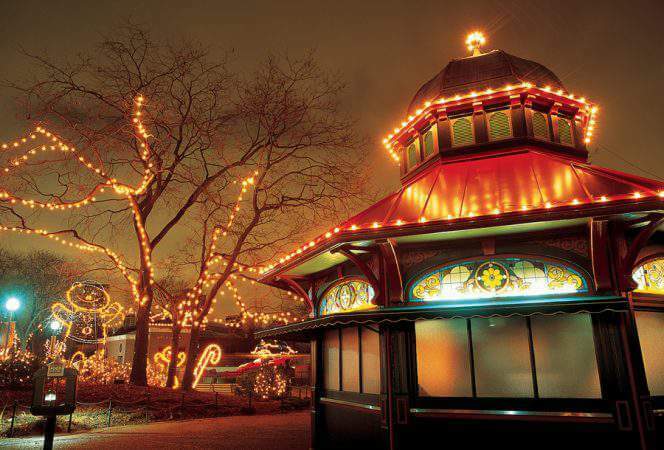 December 13th is known as St. Lucia’s Day (or St. Lucy’s Day), and it is a marvelous celebration! St. Lucia’s Day commemorates St. Lucia, a young Christian girl who became a martyr after being killed for her faith in 304 AD. The story goes that she would secretly bring food to the persecuted Christians in Rome, living in catacombs under the city. She would wear a wreath of candles on her head so both hands would be free to carry food and other necessities. Lucy means “light”, which makes her very appropriately named. 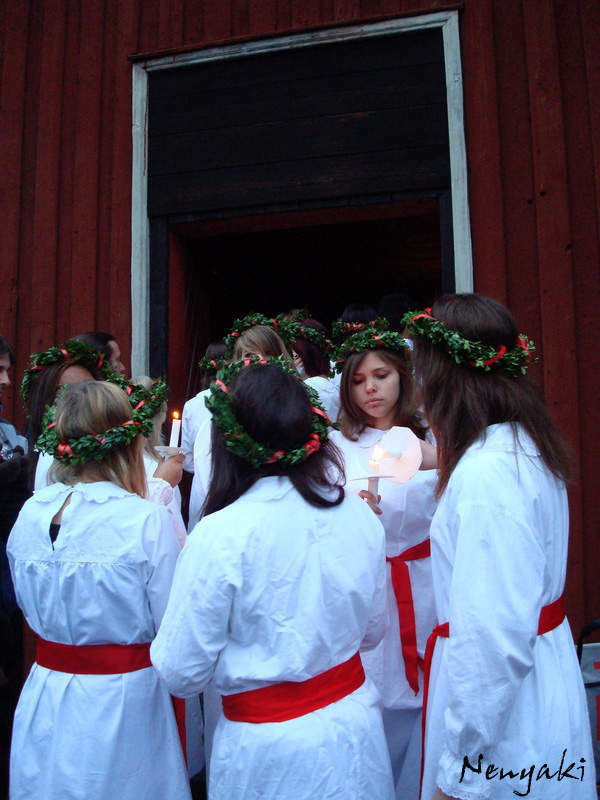 Currently, St. Lucia’s Day is celebrated by girls wearing white dresses with red sashes around their waists and a crown of candles on their head. Younger girls will wear electric candles, but it is still traditional to use real candles (and fire!) for older girls. Often, schools and towns will have their own St. Lucia, and Sweden also selects a national Lucia. St. Lucia first began as a celebration in the 1700s in Sweden. It is also celebrated in Denmark, Norway, Finland, Bosnia, and Croatia. My personal favorite part about the Christmas holidays in Sweden is julbord. In Sweden, people will say “God Jul” as a way of saying Merry Christmas, and Christmas is known as Jul. Julbord is the Christmas buffet traditionally eaten at lunchtime on Christmas Eve. However, it is also often the end-of-the-year dinner for groups of friends or companies. Each of the last two years while living in Sweden, we were able to celebrate and have Julbord with my husband’s entire team. Julbord is traditionally cold meats and cheeses, “julskinka” or Christmas ham, salads, breads and butters, “prinskorv” or small sausages, meatballs, and other various vegetable and potato dishes. In my experience, I have been to julbords served both as a plated meal and a buffet. No matter what, julbord is a great way to celebrate the Christmas holidays! Two of my other favorite aspects of Christmas in Sweden would be pepparkakor, or gingerbread cookies, and glögg. The cookies are marvelous, but the glögg is even better! Glögg is a spiced, mulled red wine, often with brandy added to it. It is the perfect way to warm up on a cold winter evening! One thing about Swedish Christmas (and really, Easter too!) that I do not understand is Julmust. 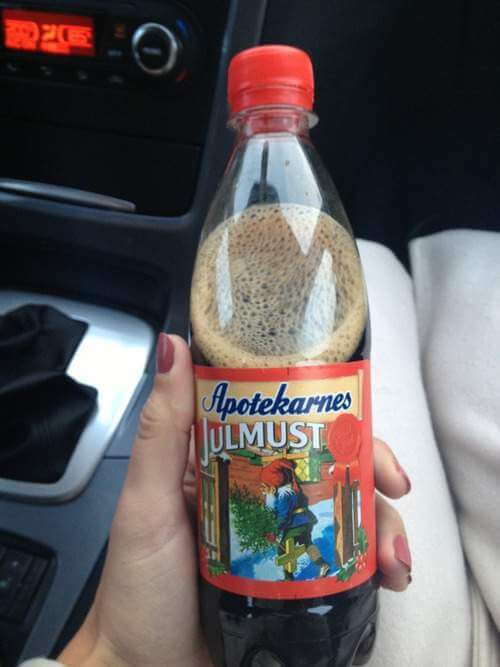 Julmust is Sweden’s special Christmas soda, and Swedes tend to go crazy over it. The first time I tried a sip I almost spit it back out, because to me it tasted like a three-day-old rum and coke that had gone flat. Not my cup of tea, thats for sure! Christmas in Sweden is similar to many places throughout Germany and the rest of Europe where Christmas markets are starting to become more and more popular! The last tidbit of information about Christmas in Sweden that I have to offer is definitely a fun trivia fact. Each year on Christmas Eve, the local TV station plays Donald Duck and friends, or “Kalle Anka och hans vänner”. A little bit of a different tradition, that’s for sure! And that is all the information I have on Christmas in Sweden, so thanks for taking the time to spend some time with me today! What are some of your favorite Christmas traditions, and how do you usually spend the holidays? Hi! My name is Samantha Angell, and I began my blog 2.5 years ago while living in Sweden with my husband while he was playing professional hockey. I have since moved back to the U.S., but my blog focuses on travel throughout the world and the U.S.! Recent destinations of mine include Napa Valley, Germany, and of course Sweden! I’d love to connect with you, so hop on over to my site and give me a shout! For other posts in our Holidays Around the World Celebrations, you can read: Christmas in London, Diwali, Christmas in Japan, and Día de Muertos. Welcome to Kids Are A Trip. If you are a parent looking for unique travel inspiration, you’ve come to the right place. We have tips for all stages of trip planning, from how to prevent jet lag before flying to how to find the best spots when you arrive at your destination. Our team is happy to answer any questions you might have, so don’t ever hesitate to send us a note. Thanks for joining us! Unauthorized use and/or duplication of this material without express and written permission from this blog’s author and/or owner is strictly prohibited. Excerpts and links may be used, provided that full and clear credit is given to Kirsten Maxwell and Kids Are A Trip, Inc. with appropriate and specific direction to the original content. All photos are property of Kids Are A Trip, Inc., unless otherwise noted. If you would like to link to my images, please email me at kidsareatrip@gmail.com. © Copyright 2019. Kids Are A Trip. All Rights Reserved. Design by Alpine Lane.